You know that the most genius ideas are often the most simple ones that you wish you came up with. 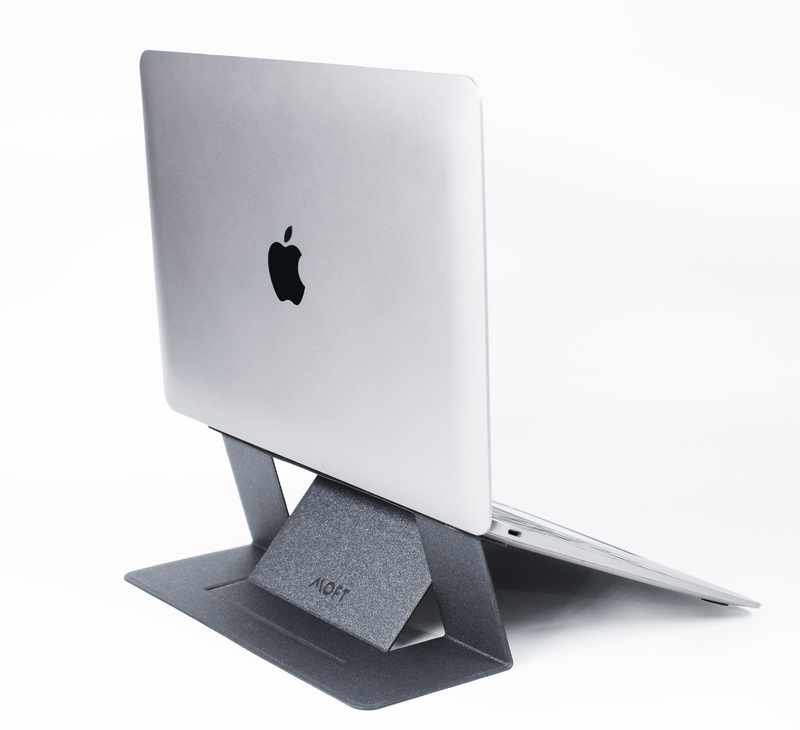 Such a (patented) idea is this new laptop stand called MOFT. Laptop stands are highly recommended to not grow yourself into a hunchback, but taking one on the road with your laptop is impossible, because they’re inconvenient to carry around. Until now. How does the MOFT Laptop Stand work? The MOFT (or Mobile Office For Travellers) has a clever design allowing you to attach it with an adhesive to the bottom of your laptop and fit it seamlessly in your laptop bag or cover. Lifting your laptop will fold open the MOFT stand and you’ll have your laptop raised to a comfortable eye level, ready for working. You can raise the MOFT stand to two level of degrees, 15° or 25° whichever level you prefer. It can carry a lot of weight due to the strong fiber glass material and fits on nearly all laptops up to 15,6″ in size. The MOFT is running an already successfully funded Kickstarter campaign. Early birds can get a MOFT laptop stand for below twenty bucks. It’s available in the colors space grey, rose gold, gold and silver.